0.9 ACRE - Completely Usable Acre On River 200 Meters From The Paved Road!! A Great Buy!! This property is 1 acre and is completely flat and usable. 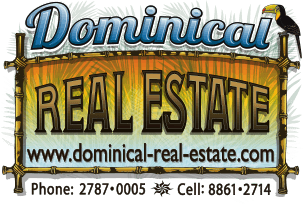 It is located in Hatillo, about 5 min north of Dominical and 5 min from several beautiful beaches. It is only 200 meters off of the newly paved Hatillo road on a flat 2 wheel drive gravel road. The power and water are in place. The back side of the lot is bordered by a beautiful river with large trees lining the bank. The property is not in a development which means it has no restrictions. It would make a great residential lot or could be used for some rental cabinas along the river. At this price this is a great deal! !